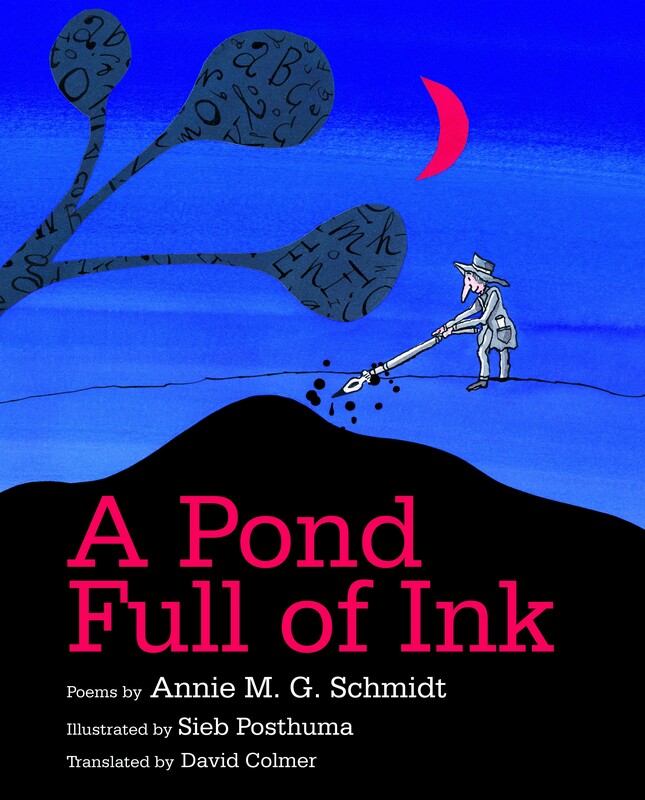 One of EBYR’s newest releases — A Pond Full of Ink — is a rollicking collection of poems for children by the beloved Dutch poet Annie M. G. Schmidt, whimsically illustrated by Sieb Posthuma and translated by David Colmer. 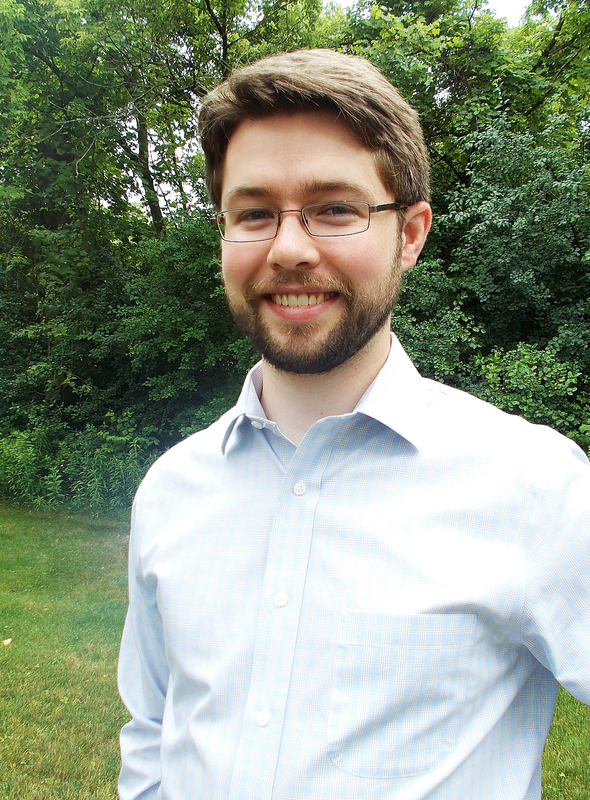 Inspired by Schmidt’s playful wit — and invigorated, too, by “the bracing spirit of academic overdigestion of literature” — former Internet marketing assistant Jacob Thielman sent us a favorite poem from the book, replete with his own humorous annotations. about fairies and elves and hobgoblins and witches. The next morning he’s back6 when the sky’s turning blue. 8At the foot of his garden there’s a pond full of ink. he goes down to that pond to refill his pen. 12and has plenty more — he’s constant and steady. 2 This line marks the poem as a work of fiction. Fairy tale authors have no reason at all to get up early. 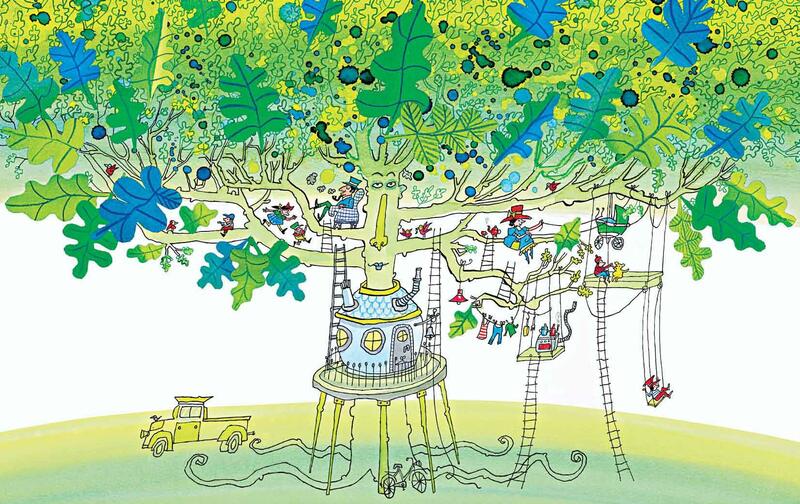 Unless, of course, they write fairy tales in their heads while daydreaming at work, in which case they probably won’t have a reason to get up early for much longer. 3 This is writer is clearly single — “unhitched,” as it were. 4 Princesses, but not queens. This doubtless suggests some sort of tragic relationship between the fairy tale writer and his mother . . .
5 . . . which can’t be all that bad, since she’s still cooking for him. 6 Apparently knocked out cold from the heaviness of the dinner. Doubtless something with lots of gravy and red meat. Tiramisu for dessert, obviously. Is anyone else a tad peckish? 7 Originally published as a two-part cliff-hanger, this is where the part one of the poem ended in the prestigious Periodical Whoppers Monthly vol. 20 issue 4. It was picked up again the next month. 8 Note number 7 was a lie. There may have been other lies before note 7. 9 More evidence that the fairy tale writer is Edgar Allen Poe. 10 Definitely Poe. He could never figure out how to end his stories. Lots of bizarre turns at the end, if you ask me. 11 An incredible proliferation of fairy tales, almost ten times as many as Scheherazade (Just ten more tales, and he would have reached it.) More than 9,000 of Poe’s stories were lost and remain unrecovered. 12 See note 8 in reference to note 11b. 13 At which point we he will have to find a lake full of ink, which will probably land him in trouble with the EPA. 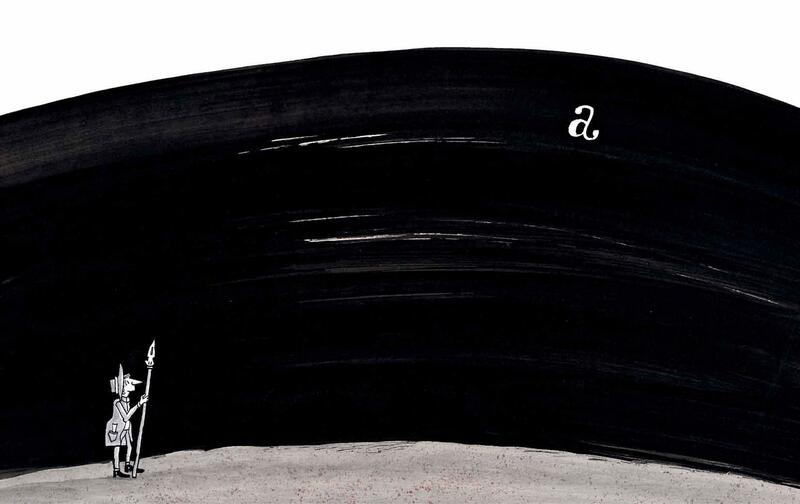 Click to order Annie M. G. Schmidt’s A Pond Full of Ink, translated from the Dutch by David Collmer and illustrated by Sieb Posthuma.